MyGamer recently posted our Top 10 Original GB list. But we want to show our love for Nintendo’s second generation handheld; here is our wish list of the Top 10 GameBoy Color games for 3DS Virtual Console eShop. Just like in our Original GB list, we are going to point out the “inevitables” – games that Nintendo will surely release to the eShop. For GBC, Nintendo will be dumb not to release the Pokemon games; this includes Gold, Silver, and Pinball. And with Link’s Awakening already available for download, it would not be a surprise to see The Legend of Zelda: Oracle of Seasons and Oracle of Ages complete the collection for the early portable Zelda titles – let’s just hope there will be some way to cross save files to unlock each game’s secrets. Mario Tennis and Mario Golf were also fantastic titles for the colored, but not backlit, handheld and would make for great DLC. Although NES games are not yet apart of the 3DS eShop, players might still partake in Mario’s original Mushroom Kingdom adventure with Super Mario Bros. Deluxe. The screen resolution might not line up the way you remember, but Nintendo added plenty of extras to this console port including The Lost Levels, two-player link mode, and even GameBoy Printer capabilities. While I doubt Nintendo will make a printer for their 3DS system, adding additional features like being able to save the printable pixel art to the SD card and wireless multiplayer would at least be small bonus. Starting off the list with a recreation of a NES game might be controversial, but like Super Mario Bros. Deluxe, Crystalis started to open the door for developers and publishers to package old games as new again. Especially today, with many games receiving the HD makeover and sold again, developers are finding new life, as well as new revenue, in re-releasing old games. Isn’t this the point of the Wii and 3DS Virtual Console to begin with!? Crystalis was a cult hit on NES and did not receive the same amount of recognition that other games, like The Legend of Zelda, had. 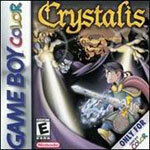 SNK recreated this title for the GBC in the summer of 2000 and borrowing from the Zelda over-head action RPG genre, Crystalis told a tale that involved the end of the world, magic swords, and an evil antagonist that blends magic with technology. It was actually a pretty heavy story for an original NES game and releasing it to the 3DS eShop would allow gamers to experience this title that they most likely missed. 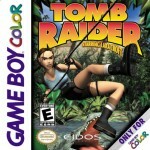 Did you know that Lara turned the GameBoy into a GameGirl? Bad jokes aside, Lara found success in this 2-button handheld, enough to even garner a sequel. Tomb Raider and Tomb Raider: Curse of the Sword were original 2D side scrolling adventure games similar to the classic Price of Persia formula. For the time, each game featured colorful environments, slick animation, and a pretty lengthy quest. 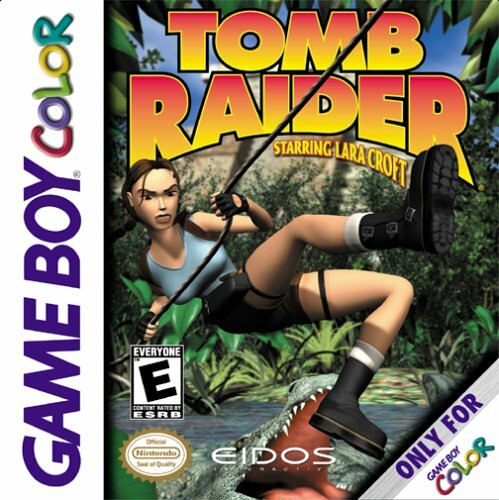 With the upcoming Tomb Raider reboot, highlight’s Lara early years, set to hit next gen console sometime in 2012, releasing these two GBC games in the months prior to release could be a nice marketing tie-in and give gamers the chance to experience these often forgotten titles. The Blaster Master games have always been an underground cult hit. While the NES version is probably the most memorable and well known, this underappreciated series also spawned an original GB game (Blaster Master Boy), an exclusive WiiWare title (Blaster Masater Overdrive), and even made the jump to polygons in a 3D bargain bin PSOne game (Blaster Master Blasting Again). However, Blaster Master: Enemy Below is a sequel worthy enough to stand with the original. 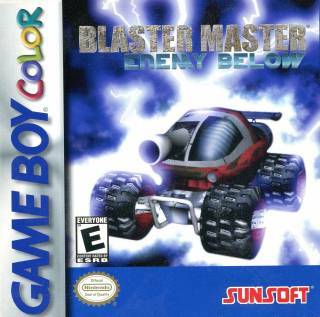 Playing as if it was a direct extension of the original NES version, this unknown GBC game has all the Blaster Master goodness that you want: a side scrolling HUB-style world where you play as SOPHIA (a tank that jumps! ), overhead on-foot levels, colorful intro cutscenes and even a pleasant soundtrack. If you played the original NES version, there is a requirement to experience this GBC original. The original GameBoy and GameBoy Color had just as many buttons as the NES: a d-pad, 2 face buttons (A and B), and Start and Select. It is pretty amazing that Warlocked, a real-time strategy game, was created for a small screened system and designed around the typical two face button structure. 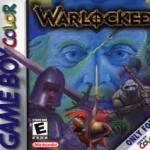 Of course you are not going to get a StarCraft level of detail in Warlocked, but this surprising real time strategy title is quite impressive for the GameBoy Color. There is a learning curve, but once the control scheme and gameplay is learned, Warlocked was a decent (and only) choice to get your strategy fix on the go back in 2000. And if you were lucky enough to find a friend with a copy of the game, the developers even included a 2-player link mode. 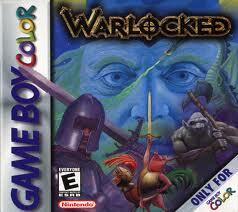 Even the GBA and DS have been very light on RTS games, making Warlocked an even more welcomed addition to the eShop. 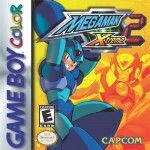 Megaman X recently found its way to the Wii’s Virtual Console. With the success of Megaman 9 and Megaman 10, it is surprising it took Capcom so long to release the original SNES X series. Megaman Xtreme 1 and Megaman Xtreme 2 (released just a few months after the original) are recreations of the original SNES Megaman X games. Somehow, the developers managed to squeeze the Megaman X experience down to the small screen; wall jumps, memorable levels, colorful graphics and boss absorbing powers worked surprisingly well on the limited GBC hardware. 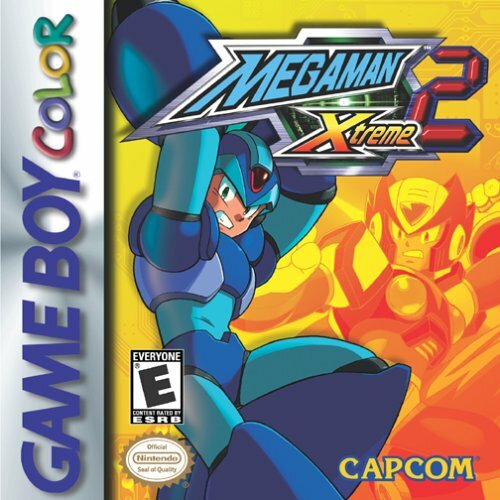 With news of Megaman Legends 3 on 3DS recently getting canceled, and given the fact that the Wii just received the first X game in the series, Capcom might be more interested in re-releasing these underappreciated handheld titles. 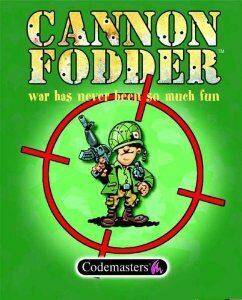 Although not a pure RTS like Warlocked, Cannon Fodder was an overhead action game with some RTS-type elements. This severely overlooked handheld title actually played on one of the GBC’s biggest memory carts, feature voice narration, a 3D interface, and even FMV’s. That’s right, FMV’s on GBC! 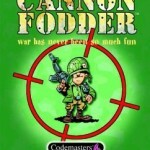 In fact, Cannon Fodder almost seemed like it was too big for the GBC system, literally. From the instance you boot up the game, there is a constant electric hum noise that grows annoying after just a few minutes, as if the system is trying to draw more power to the cartridge. I tested the original cartridge on my GBC, GBA and even Gameboy Player and this buzz noise was always there. Annoyances aside, Cannon Fodder is probably one of the more impressive GBC games that you never played. Developer Wayforward might be one of the most underappreciated development studios in the industry. Known for their stunning graphics, animation and gameplay, Wayforward has created some of gaming’s’ strongest cult followings. During the GBC era, Wayforward developed Xtreme Sports, Wendy: Every Witch Way, and most importantly, Shantae. 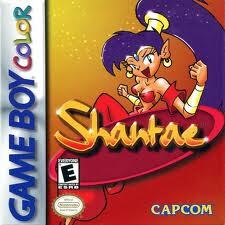 Released towards the end of the GBC lifespan, Shantae is one of the best original platformers on the system. 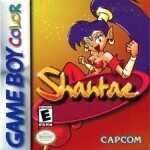 Playing as a genie that would rather hang out in a lighthouse than a bottle, Shantae is a solid hair-whipping GBC title. In fact, the developers even included special graphical and gameplay bonuses if you played this title on the Gameboy Advance system. But if you missed this title when it was released back in 2002, and if it never makes its way to the eShop, at least download the DSiWare exclusive title, Shantae: Risky’s Revenge. Any company that can take a topic like THIS and make it, well… good, deserves a lot of credit. Also check out Contra 4 (DS) and keep your eye on Aliens: Infestion (DS) and BloodRayne: Betrayal (PSN/XBLA) in 2011 from Wayforward too. 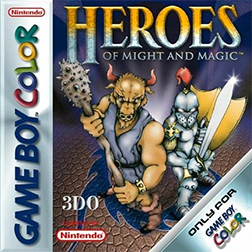 Heroes of M&M I and II for GBC were unique games for a couple of reasons. First, they were remade from PC titles. And secondly, they were some of the very few pure strategy games for the limited GBC hardware. The graphics in these two titles are not exactly what you would call clear or bright and if you didn’t play the PC games you might have trouble understanding just how the gameplay works. But re-releasing this game to the 3DS Virtual Console would make playing this title much easier thanks to the backlit screen (instead of using the dreaded, but necessary WormLight). Gameplay and graphics definitely improved in the sequel, but Heroes I was still highly entertaining. And HotSeat play could have you and a friend competing for resources and building your army. Oh 3DO, how I miss thee. As stated in our Original GB article, Kirby is a guy that wears many hats, both figuratively and literally. 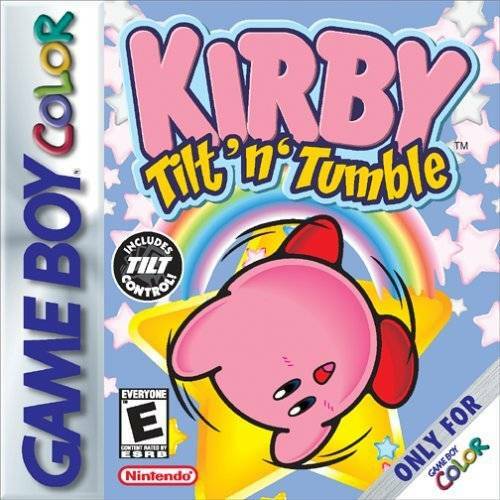 Tilt ‘n’ Tumble being no exception, it was the only game placed on a pink cartridge with a built in tilt sensor. The 3DS has a gyroscope that allows the user to use motion as a form of control, but Kirby introduced this to gamers back in 2001. Like controlling a marble on a game board, or similar to any Monkey Ball game, Kirby would roll around each stage collecting items, fighting baddies, while avoiding obstacles all by simply tilting the system. Using the 3DS’ built-in gyroscope, this portable game might have a chance of a second life as DLC. And with this gyroscopic tilt game, other motion based handheld titles might not have ever been made. Metal Gear Solid is one of the best, if not THE best GBC game. In typical Kojima style, gameplay merges perfectly with plot, graphics, and even audio. That’s right, even the audio is extremely well done. Even when the main mission is over, there is still plenty of reasons to keep this cartridge, or in this case on your SD card, plugged into your system thanks to VR Missions, creative new mission objectives during the story’s stages, and even a 2-player vs mode. 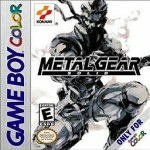 In fact, the Metal Gear Solid for the GBC was the first Metal Gear game to offer multiplayer support. Whether you are a fan of the series or not, you cannot deny how well put together this game is as the full Metal Gear experience has been successfully transferred to the GBC’s small screen. Memorable boss battles, an arsenal of weapons and items, crawling through vents, the cardboard box, knocking on walls, a complex but addicting plotline… it’s all here. Maybe when the re-release of Snake Eater hits the 3DS, Konami will release this GBC hit to the Virtual Console eShop to complete the marketing hype. 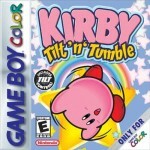 The GameBoy Camera – the 3DS has a camera, so why not convert the software to the new hardware just like Kirby Tilt n’Tumble? Perfect Dark – it linked with the N64 game via the Transfer Pak, had a built-in rumble pak, and use every other piece of hardware that the GBC had including IR Transfer.